Two 3-year Postdoctoral positions are available to work on modelling outflows from stars (winds) and exoplanets (atmospheric escape). The starting dates of the positions are negotiable, and could be as early as November 2018, but no later than June 2019. Deadline for application submission: 16 September 2018. More info on how to apply here. PhD position in my group: A PhD position is available to work on “Stellar winds of M dwarfs”, which are currently the main targets in searches for potentially-habitable terrestrial exoplanets. Deadline for application submission: 18 March 2018. Preferred start date: 3 Sept 2018. More info here. 7th Bcool meeting: The 2018 edition of the Bcool meeting will be hosted by the School of Physics, Trinity College, Dublin, Ireland, from 9 to 11 April, 2018. The BCool meetings gather each year specialists on stellar magnetic fields and their impact on exoplanets. More info here. First announcement here. CUTE: The CUTE space mission was selected by NASA for funding! 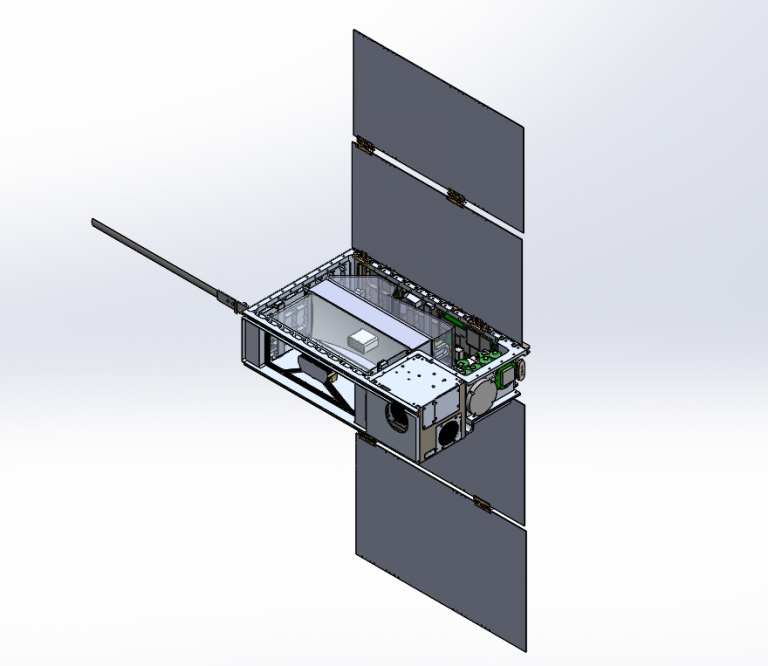 With this small satellite, we will observe transiting exoplanets in the ultraviolet region of the spectrum. This will allows us to learn more about atmospheric escape and exoplanetary magnetism. The first CUTE science meeting took place in the School of Physics, TCD, on 26-27 Oct 2017. Learn more about CUTE here. Nearby star offers new insight into Earth’s Sun: 61 Cya A is the first star known to vary its magnetic field like our own Sun. Fascinating! Check out the press release here. The original work, led by PhD Student Sudeshna Boro-Saikia, is published in the Astronomy & Astrophysics (pdf). There's Life On Earth But Not On Mars - Here’s One Reason Why: The wind of the young Sun is likely to have been stronger than its present-day value. Check out the press release here. The original work was published in the The Astrophysical Journal Letters (pdf). Hot Jupiters courting baby stars? : Preliminary evidence that a hot Jupiter orbits a 2-Myr star of the Taurus star forming region. This finding suggests that hot Jupiters can be generated in as little as a few million years - a timescale equivalent to one week if the 10-billion-year-lifetime of a planetary system were scaled down to a human life. You can check the press release “Hot Jupiters courting baby stars?” here. The original work has been published in Donati et al (2015, MNRAS 453, 3706). Supercomputers listen for extraterrestrial life: You can check the press release “Supercomputers listen for extraterrestrial life” here, written by Lance Farrell. The original work has been published in MNRAS. 4th Bcool Meeting (Feb/2015): The 2015 meeting of the Bcool collaboration was held in Geneva. Please follow this link for the meeting webpage. Cool Stars 18 (June/2014): Please follow this link for the splinter session ‘Cool Stars and Space Weather’, during Cool Stars 18. A summary of the session can be found in this paper.